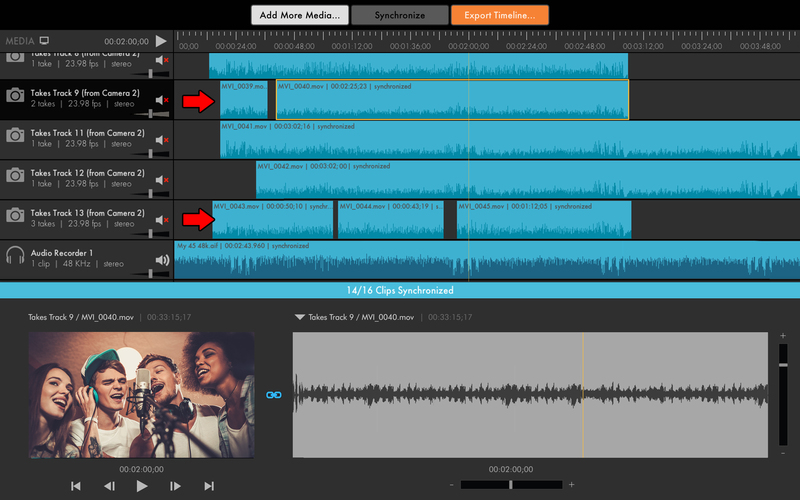 The update features EDIUS Pro support, a new music video workflow, support for GoPro spanning media, batch clip deletion and the ability to turn off automatic drift-correction. The best sync just got better! 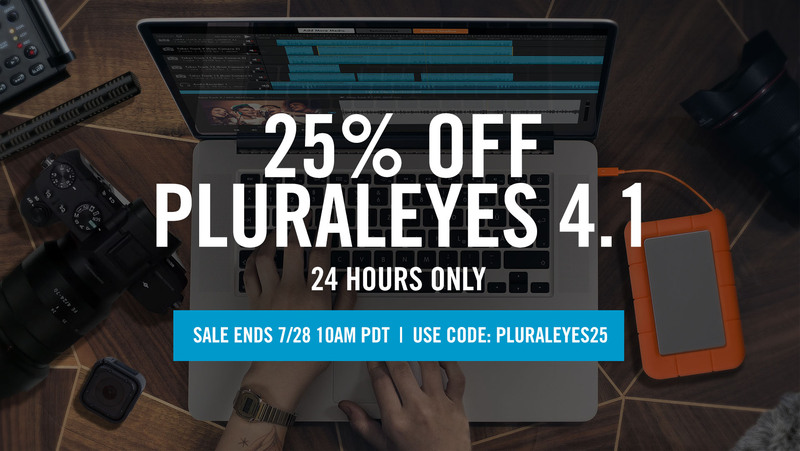 To celebrate this release, Red Giant is offering 25% off PluralEyes 4.1 in the redgiant.com store for 24 hours only. New Red Giant PluralEyes customers can download a free trial or purchase from http://www.redgiant.com/products/pluraleyes/downloads/. 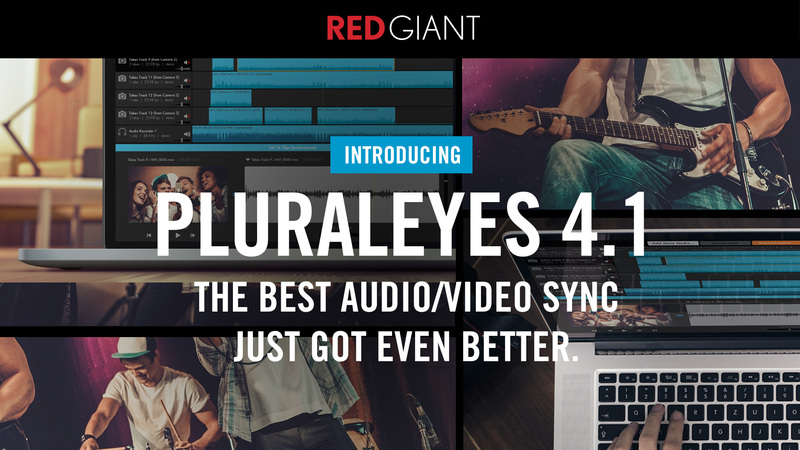 PluralEyes 4.1 is available today as a standalone tool for $299 and as a part of the Red Giant Shooter Suite for $399. New users interested in PluralEyes are invited to download a trial before purchase. 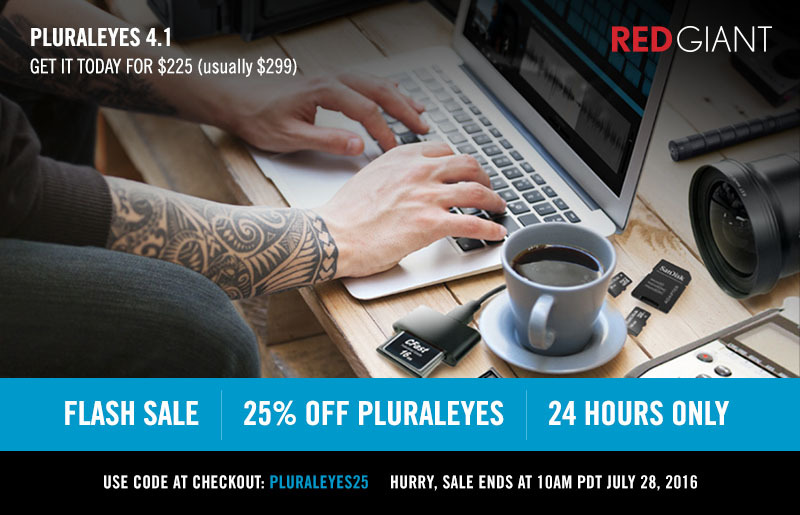 For more pricing information, please visit http://www.redgiant.com/products/pluraleyes. Red Giant is a software company made up of talented artists and technologists who collaborate to create unique tools for filmmakers, editors, VFX artists, and motion designers. Our company culture is focused on finding balance between work and life – we call it “the double bottom line” – this philosophy helps us ignore complexity in favor of building simple tools that yield giant results. Over the last decade, our products (like Magic Bullet and Trapcode) have become the standard in film and broadcast post-production. With over 200,000 users, it’s nearly impossible to watch 20 minutes of TV without seeing our software in use. From our experiences as artists and filmmakers, we aspire to not only provide tools for artists, but inspiration as well. Watch our films, learn from over 200 free tutorials, or try our software at http://www.redgiant.com.